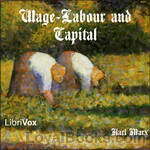 Karl Marx - Download Audiobooks & eBooks for iPhone, Android, Kindle and more! 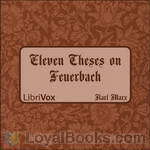 The “Theses on Feuerbach” are eleven short philosophical notes written by Karl Marx in 1845. 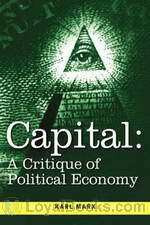 They outline a critique of the ideas of Marx’s fellow Young Hegelian philosopher Ludwig Feuerbach. The theses form a basis for the activism emphasised by Marx’s work, and this short text is perhaps best know for its ending – a Eureka for revolutionary socialism. 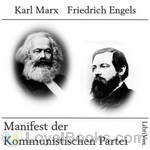 The theses were written in 1845, but not published until 1888 (five years after Marx’s death), with slight modifications by Friedrich Engels. The original text was published in 1924. This translation is based on the 1888 version. Revolution and Counter-Revolution is an account of what happened in Prussia, Austria and other German states during 1848, describing the impact on both middle-class and working-class aspirations and on the idea of German unification. Events in Austria and Prussia are discussed, along with the role of the Poles and Czechs and Panslavism, which Engels was against.